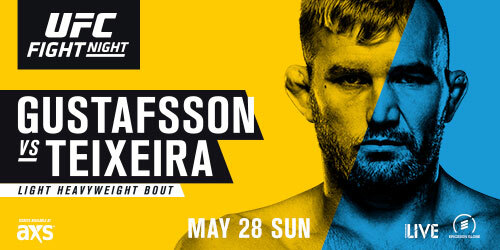 Early this afternoon will be an interesting fight card headlined by two top Light Heavyweights, Alexander Gustaffson and Glover Teixeira. With UFC Light Heavyweight Champion Daniel Cormier set to due battle with his rival Jon Jones in July and Anthony Johnson retiring in April, it’s very possible the winner of this fight gets the next title shot. In the co-main event, Misha Cirkunov and Volkan Oezdemir battle for position in that very same 205-pound division. Cirkunov is super dangerous, finishing every opponent he has faced in the UFC. Oezdemir won a big fight against Ovince St. Preux and is now sitting at a top 5 ranking in the division. This fight should be a really fun one. A Peter Sobotta and Ben Saunders clash is also on this card, which quietly features some intriguing fights. Without further ado, Vince McKee and myself predict the top three fights on this card.